From TMP/McFarlane's Toys. 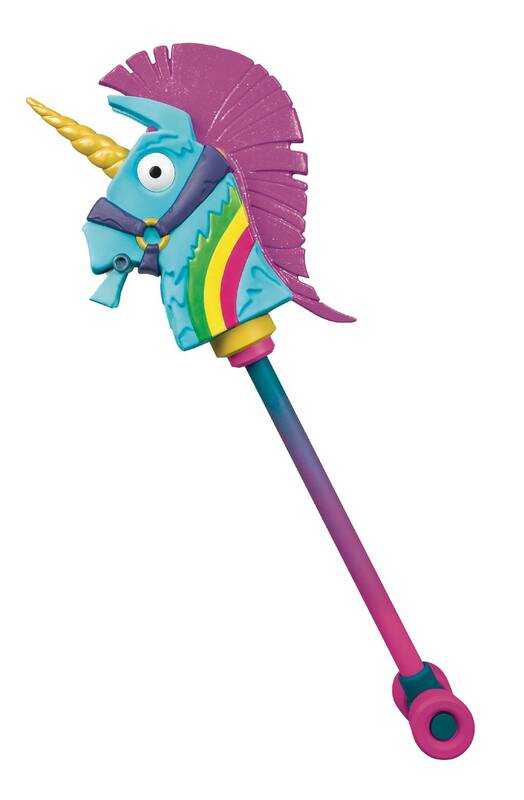 Nail your Fortnite cosplay with this replica Rainbow Smash pickaxe! At 39' long, the wheels spin for full roleplay action! Comes in Premium glossy Fortnite-themed packaging..